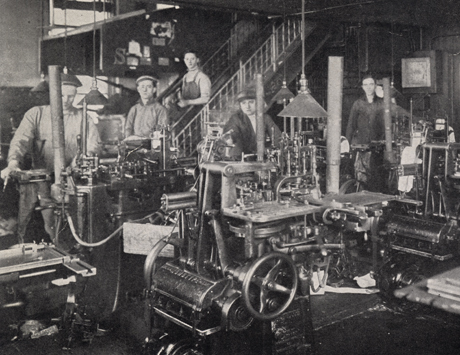 The three photographs of the linotype machines, monotype casting room, and the photo-engraving plant illustrate some of the equipment that mechanized the process of setting type and making plates for photographic reproduction. 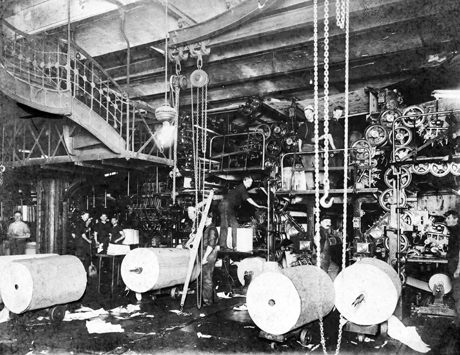 Located in the World's twelfth floor and the roof house above, these areas helped produce the mats sent down to the pressroom in the basement level, shown in the photograph on the left. 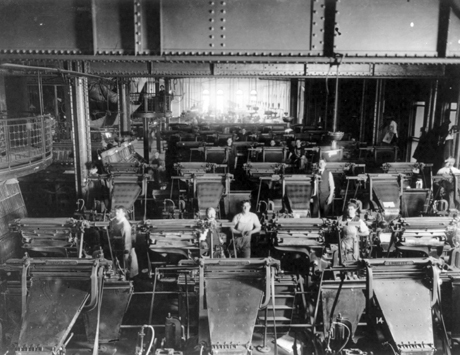 A gallery open to the public, visible in the upper left of the pressroom, allowed visitors to marvel at the printing presses while remaining safely out of the way. 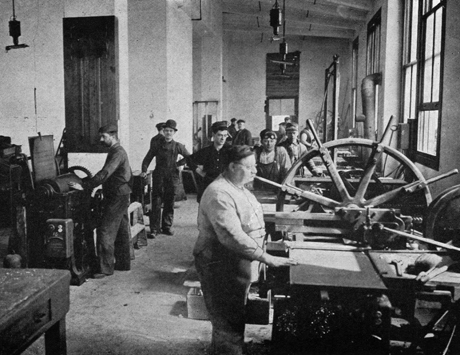 "Men Posed At Their Workstations"